Cinema has been a matter of continued fascination for people since the time they started. People have not only expressed a need to know about the movies themselves but also other things related to the movies. After all movies provide you with an outlet into a world that is far from reality. 1. IMDB: The full form of this site is the Internet Movie Database, is a popular site that provides you information about everything related to movies. With a massive database this site is a veritable treasure trove of everything to do with movies, stars, directors and just about everything else. Need info on a movie or television related stuff? Then IMDB is a must for you. 2. Rotten Tomatoes: This site has the aggregation of movie reviews and a has strong forum community presence. 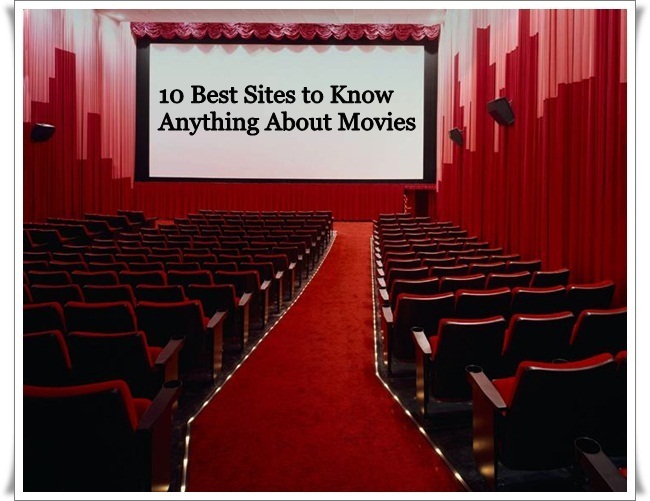 You will find critiques and reviews of movies by members of various film related associations. You can also take a peek at what is due to be released soon as well interesting information about your favorite stars. 3. BoxOfficeMojo: More interested movies than things that occur behind the scene? Then BoxOfficeMojo is just the right fit for you. Find out how a movie is doing and decide on your choices. 4. Metacritic: This site provides you with the right information about movies and which ones they should view by telling them how each movie is doing and providing an insight into the movie by well-known critics from the industry. 5. Flixster: In this site you can meet and interact with tastes that are similar. It acts as a place where people who like the same sort of movies can share their points of view and communicate on a common forum. Membership is free and you can do many things like share your views, start up discussions etc. 6. Netflix: This site is perfect for you if you do like to watch movies but hate visiting or do not have the time to visit the local store. This site is the current top provider of Internet Media on demand. You can sign up for free and get a 1 month free trial before actually signing up for a fee. 7. ComingSoon: If you happen to be a diehard fan of cinema and have to know about every new film that is going to come out, then this is the site for you. Along with the latest in movies it also provides you information about games and reviews. 8. MUBI: If you are not a fan of the latest in movie but would like to know more about the offbeat stuff, then MUBI will be the right fit for you. You can get updated, watch and discuss about movies with people who share your yen for the offbeat. 9. Twitch Film: This is yet another site that caters to the non-mainstream movie buffs. You can get access to news and reviews along with interviews with the cast and trailers of new releases. This site also covers many different movie festivals and events. 10. IMP Awards: Looking for movie posters of movies? You will find it on this site. What is more you can get posters from old and new movies of good resolution.